When it comes to weight loss we get all hung up about counting calories or on the new fad diets. But in all honesty weight is not mainly about counting calories but about making sure that all your hormones are balanced. For example, insulin is a hormone that regulates blood sugar levels and stores little sugar molecules into fat storage. If you have too much insulin in your body then your cells can become resistant (insulin resistance). This leads to more carbohydrate and sugar cravings, having a harder time losing weight, more aches and pains and feeling unfocused. Other hormonal imbalances that can affect your weight are too much estrogen or/and too little progesterone. These types of hormonal imbalances can not only affect your fat storage but also make you feel bloated (water retention), increase cravings, feel headachy, moody and it can eventually lead to thyroid problems. Of course stress is a factor too! Yes, stress can you make you fat!! This is because it affects cortisol levels. On the one hand, cortisol acts like sugar in your body. You can have the perfect diet but if you are under a lot of stress then your body thinks you just finished eating a bowl of cereal, yikes!! On the other hand, if your cortisol is too low (which happens when we burn out) then we are going to crave sugar as a stimulant to keep going with what we need to do during the day. Either extreme is not good. Then we have our good old thyroid! Thyroid is so mistreated with conventional medicine. There is a good percentage of women who are told that their thyroid is working well when it is not. This is because conventional medicine looks at really broad “normal” blood work ranges to diagnose and are only testing 1 thyroid hormone and not the 3 that should be tested. 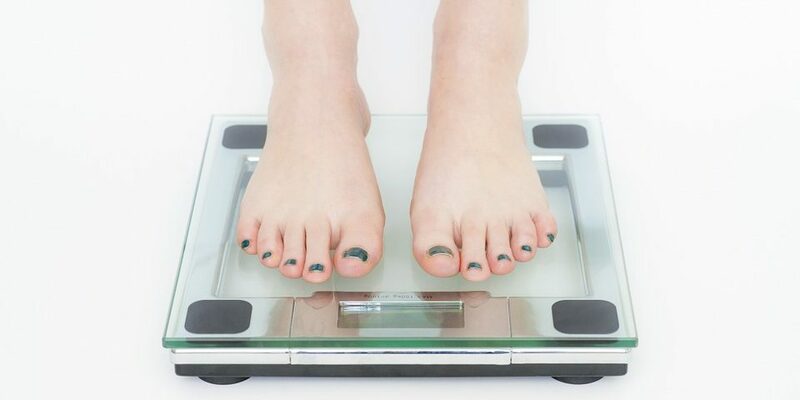 In short, trying to determine why you can’t lose weight requires a thorough evaluation. Once we know what hormone is off-balance then we can determine why you are having a hard time losing weight. Many of you need to modify the amount of carbohydrates that you are eating, maybe you need more protein, maybe you need to fast. These types of conclusions can be determined with proper testing. If you would like to get tested today, call us for an appointment. Dr Miranda is happy to offer 10 minutes free “Meet & Greet” visit to see how and if we can help you.